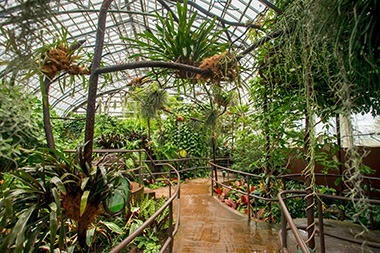 Engage all your senses with a trip to the Conservatory! 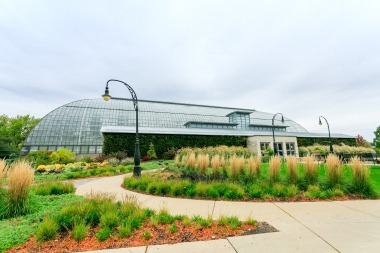 The Garfield Park Conservatory is committed to providing a quality experience for all visitors. Please see below for a description of the accommodations and programs we have available for adults and children with different abilities. We strive to provide an array of options available to accommodate all visitors and we do not discriminate on the basis of disability in admission, access or employment. 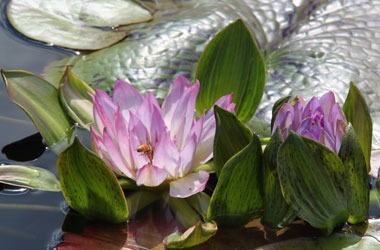 The Conservatory has a free visitor parking lot with designated handicap parking spots located in the northeast corner. There are paved pathways from the parking lot to the building entrance, as well as ramps and a push button automated door. We have a limited number of free wheelchairs available for your use on site, on a first come, first served basis. Present your ID to the front desk when you arrive to check out a wheelchair. Our bathrooms are equipped with wheelchair-accessible bathrooms stalls. If you’re bringing a group with adults or children with special needs contact our School Programs staff ahead of time to ensure your group has the best possible visit at groups@garfieldpark.org or 773-638-1766 x25. 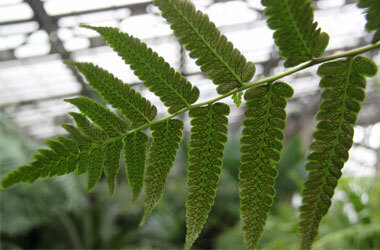 The Conservatory has over 2 acres of gardens in 8 different display houses. Seven of the eight houses have paved, even pathways that are wheelchair accessible and provide easy access to our plant collection. Due to its landmark status, the staircase leading to the Fern Room has not been renovated with a ramp, and is therefore not accessible for wheelchairs. Additionally, the pathway in this room transitions into stepping stones at two points. The Conservatory has over 10 acres of outdoor gardens and winding pathways, all of which are accessible via mobility device. The sensory garden is a large, raised bed that stands at about 3.5 ft tall – perfect for viewing plants up-close from most mobility device. This raised bed houses our Carnivorous Plant Bog in addition to a variety of plants perfect for touching, smelling and examining closely. 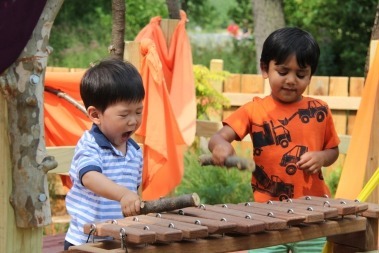 Our outdoor nature play space is appropriate for typically developing children under 8 years old, but is open to visitors of all abilities to explore. Most of the Garden is accessible by most mobility devices via paved and gravel pathways. 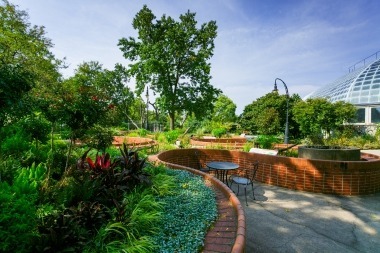 The Elizabeth Morse Children’s Garden has an elevator to provide access to the mezzanine level and slide entrance. 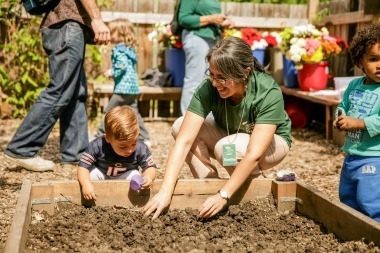 Our volunteer program at the Conservatory offers a variety of programs for individuals of all abilities to join who share our passion for nature. 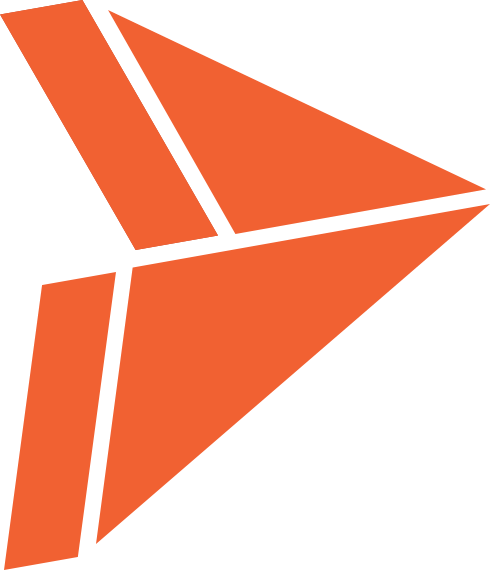 We are happy to discuss any additional supports you may need for each program. For more information about our volunteer program and to complete an application, click here or contact Kristin Field at volunteering@garfieldpark.org or 773-638-1777 x26. 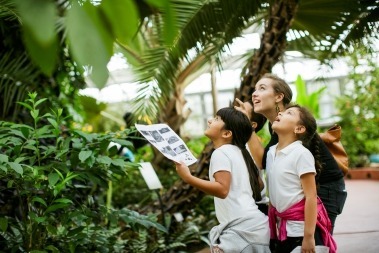 The Conservatory has a wide variety of programming for the public and our staff is committed to providing engaging and educational experiences for all guests. We will make accommodations based on visitor needs and abilities, and are happy to discuss our programs ahead of time should you have any questions or concerns. Please contact the appropriate staff listed for each program, or contact Mattie Wilson at mwilson@garfieldpark.org or 773-638-1766 x. 16. We offer lots of different resources for groups, families and teachers in our resource center. 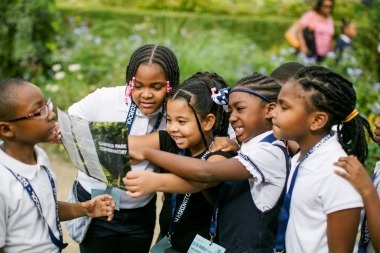 If you have any questions about these lesson plans, scavenger hunts, and activities please contact our staff at groups@garfieldpark.org. We also have a Texture Hunt specifically made for students with varying degrees of vision impairments. If you’re interested in using this resource, please contact our School Programs staff at groups@garfieldpark.org for more information.